Orihuela is a tourist destination boasting a comprehensive offering that encompasses from excellent beaches and golf courses to exclusive natural expanses and a rich historical and cultural heritage that includes numerous monuments listed as Assets of Cultural Interest, traditional festivals as well as a varied gastronomy. Also discover Orihuela in the company of its universal poet Miguel Hernández. MEDICAL CENTER "ALVAREZ DE LA RIVA"
Opening hours: Tourist Office Orihuela City. Morning from 8.00h to 14.00h. *Summer could change the opening hours. Tourist information: Tourist Office Orihuela City. 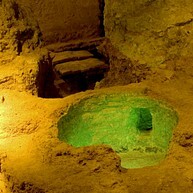 MUSEUMS & MONUMENTS Orihuela has a lot of artistic and histórical heritage. Its tradition, its museums, churches, palaces and monuments have turned this city into a place of great cultural interest. 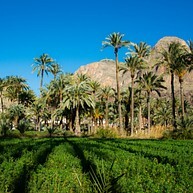 THE VEGETABLE PLANTATIONS OF ORIHUELA Orihuela is a quintessential farming region. Its fertile lands have been worked by different cultures throughout its history. BEACHES Our beaches are recognized and accredited with the official certificates os the organizations and the institution that supervise and control quality criteria. Blue Flags, "Q" tourist quality certificates, SICTED distinctions, Qualitur Flags, Quality and Environment ISOs... GOLF Orihuela has the best and most important golf courses in the Mediterranean: A total of 90 holes in its five excellent courses of international renown, home to major European tournaments. VILLAMARTÍN GOLF COURSES, LAS RAMBLAS GOLF CLUB, CAMPOAMOR ROYAL GOLF CLUB, LAS COLINAS GOLF & COUNTRY CLUB AND VISTABELLA GOLF. This house was home to the poet and his family between 1914 and 1934. It was a farmhouse, much in line with others which existed in the same street in the early 20th Century. 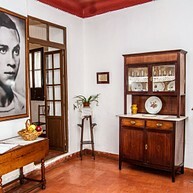 The museum retains the furniture and fittings typical of the area's homes from the last century, tougher with photographs from different moments os the poet's lifetime. It constitutes an interesting agricultural system of intensive irrigation of Islamic origin with date-trees situated on the borders of the banks, paths and irrigation canals. You can either reach this area by means of path tracking through el Collado del Oriolet, or go jogging or cross-country through the orchards of palm trees. Every year the old part of the town becomes the ideal setting for recreating the middle ages when it puts on its Medieval Market. 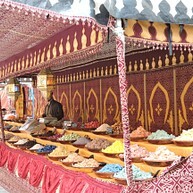 The visitor is taken back to the past in a special ambiance where the smell of spices, the colour of the craftsmen's work and products and the taste of foods at the different stalls makes a visit a true festival for the senses! 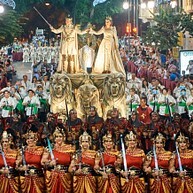 The celebration of the Reconquest of Orihuela has a secular tradition, which has been documented for more than 600 years, and it is for this reason that the Moors and Christians Festival in its present form, founded in 1974, revolves around this event and this celebration so that they have become inextricably linked. The main day of the Festival is the 17th July, the day of Saints Justa and Rufina, to whose intervention in the exploits of la Armengola is attributed in popular tradition the definitive conquest of the Muslim fortress that dominated the city. The Moors and Christians Festival is engraved on the soul of Orihuela. The month of July has become the most special month of the year. A month to promote Orihuela’s culture, traditions and symbols. 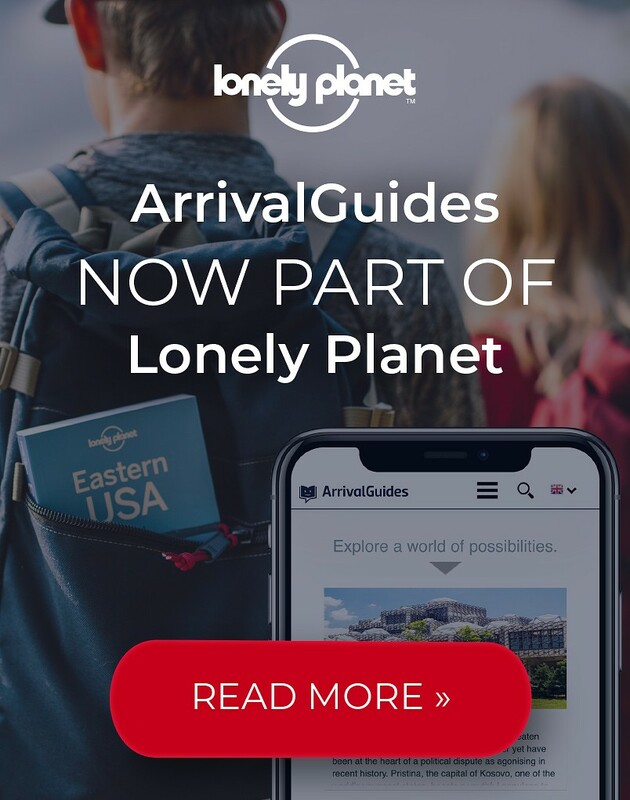 Declarated of International Tourist Interest. Is one of the oldest religious and popular celebrations in the south east area of Spain. Easter in Orihuela is not only renowned for its monuments,scenery, tradition and Mediterranean light but also for its history and artistic quality. Art and passion are united in this special week when all five senses are stimulated, the colour of spring, the smell of incense, the soundof the drums playing the traditional Easter hymn "Canto de la Pasión", the taste of concent delicacies..., so that thousands of people can enjoy the "Very Nobel, Loyal and Forever Faithful City of Orihuela". a symbol of mediterranean merge with the true kindness and hospitality of the locals. 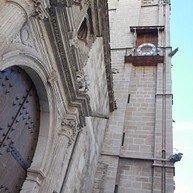 This building is composed of a church, convent and university, all completed at different times. On the exterior, there are two striking renaissance doorways, featuring the founder's family coat of arms and the shield of the Dominican Order. The Baroque entrance to the University shows an allegoric figure representing wisdom. Human igures adorn the Baroque tower. Inside are two magneficent cloisters, the Renaissance one in the convent and the University own Baroque example. The church is renaissance building with later Barowue addition. An interesting feature in the Renaissance doorway leading to the Sacrusty and refectory, dating from the late 16th Century with a fascinating base covered in Vatican tiling from the 18th Century. Built on the remains of the old Moorish mosque, it started out as a Parish Church, ascending in importance, as Archiprestal (1281), Collegiate (1413) and finally becoming a Cathedral in 1510. Building started at the end of the 13th Century. It is of Levantine Gothic Style, with three naves and a gallery, a transept transformed by Pere Compte at the beginning of the 16th Century and side chapels between the buttresses. 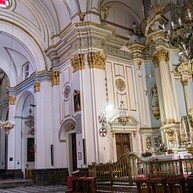 Of note inside is the ironwork, the Baroque organ, the work of Jacinto Perales and the choir stalls, made by Juan Bautista Borja and Tomás Llorens (1716-1718). The sacrity is home to the realic cabinet and cupboard, the work of José Ganga (1732-1734), holding diverse relics within a carved bust. On the outside, of note in the Tower, built between the late 13th Century and the mid-14th Century, the same as the three main gateways, The Puerta de Cadenas (14th Century), Puerta de Loreto (15th Century) and finally, the Portada de la Anunciación, completed by Juan Inglés in 1558. Built on the land occupied earlier by the Corpus Christi hospital, one of the city's medieval hopitals. 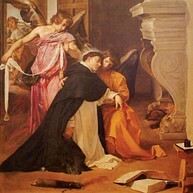 In 1558 the city exchanged plots with Archishop Esteban Almeyda and the hospital was relocated to the Parish of Santiago. 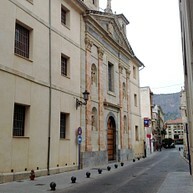 Building may have started in the 16th Century, soon after the establishment of the Orihuela Bishopric. It underwent profound changes in the 18th Century under the reigns of Bishops José Flores Ososrio and pedro Albornoa Tapia. In the mid-20th Century it lost its original functions, was restored at the beginning of the 21st Century and is currently home to the Diocese Museum os Sacred Art. At the back, facing the river, there is a gallery with semi-circular arches. Inside, another striking feature is the cloister with heraldic decoration, the main staircase, of res Alicante marbel and the dome built on an octagonal base, with exterior cobalt blue glazed tiles. The Wall Museum is located in the basement of the "Casa del Paso" building, on the Salesas Campus of the Miguel Hernández University. It also houses an interesting and well organised archaeological site, set up after various stages of excavation between 1998 and 2000. Significant architectural heritage sites are well conserved: The town wall, four watch-towers dating back to the Almohad era (Designated Cultural sites since 14/12/1998), Arab baths, Islamic and early medievals streets and homes, a Gothic palace and architectural remains of the Casa del Paso(17th Century). Furthemore, remians dating back from the second half of the 12th Century to the 20th Century have been recovered. During the visit, around the perimer path and glazed walkways, there is also a variety of complementary resources to help interpret the findings, such as display panels,scale models, signposts, display cases and a video. Built on the remains of one of the Islamic city's mosques. It is dedicated ti the city's patron saints, since the date of their martyrdom coincides with the "Reconquista" of the city, wich traditionally is believed to have taken place on 17th July 1243. Single nave gothic temple, with side chapels between the buttresses, dating back to the 14th and 15th Centuries. The presbytery is in Renaissance style, as is the side doorway, known as the Anunciación. Parallel to the nave is the Communion Chapel, os Baroque style. 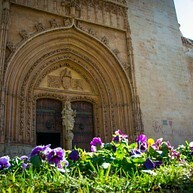 The main facade includes the Gradas doorway, also Baroque, the work of Antonio Villanueva and Cristóbal Sánchez, in the borrominesca style. Special mention must be made of the bell tower, of Gothic style and remarkably slender, wich must have been completed in the mid-15th Century. In the corners, there are gargoyle-shaped drains and sculpture of mythical beasts. Also os interest is the clock, wich was commisioned by the town council in 1439. The Orihuela Archaeology Museum is successor to the old Santo Domingo Museum of Antiquities, founded in 1902 by the Jesuit priest, Julio Furgús who donated a number of pieces. It was created by the Orihuela Town Council (thanks to the authorisation of the Ministry os Education and Culture, on 16th February 1970) and was housed at various times, in the "Palacio de Teodomiro", at the Municipal Hospital, at the Rubalcaba Palace and since 1997, at its present site, the Church of San Juan de Dios, itself built in the mid-18th Century. The Archaelogical Museum houses materials spanning a lengthy period, from the Paleolithic to the early 19th Century. The majority is from the town and its surroundings and were discovered at excavations and prospections by the Museum itself. The same building is also home to the Exhibition Hall, which is the former hospital's Men's ward, a spacious rectangular room, covered with barrel vaulting. This is where temporary exhibitions and diverse cultural acts are held. Built upon the remains of one of the Islamic city's mosques, dating back, according to the oldest documentary evidence, between 1402 and 1417. A single nave church, with side chapels between the buttresses. The original Gothic structure was heavily modified due to restoration and extensions built between the 16th and 18th Centuries. Of note inside is the Renaissance presbyter, in the shape of a triumphal arch and the chapel dedicated to the "Holy Famiy" (1765-1766), by the school of Francisco Salzillo, Sculptor. Its main entrance, in the Isabelline Gothic style, has, at its apex, the Shield of the Catholic Kings. In more Baroque style is the adjoining communion chapel, with its entrance, wich was constructed from 1726 to 1735. According to tradition, it was built over the former gothic Parish of Saint Julian, after unearthing the image of the Virgin Mary once the city had been recaptured from its Moorish occupiers. It is a Baroque temple in the shape of the Latin Cross with a Neoclassic facade featuring the anagram of Our Lady of Monserrate. The interior features the Hallazgo chaoel, which louses a cave, the site on which the image of the Virgin Mary appeared and above her, the old niche, today dedicated to the Cristo de la Buena Muerte. The high altar houses the niche with the Virgin of Monserrate, the city Patron Saint. In may 1976, a great wavw arrived in Orihuela, coming from many parts of the world this was the tribute to Miguel Hernández. An actual "cultural spring" bloomed in the plazas and streets of the city, particularly in Barrio San Isidro, reviving the life and the work of the poet- To that historic birthplace came painters, writers and musicians, set in the context of difficult tiomes and uncertain transition, reclaming the freedom that had been absent from lives. It was an event that still remains recorded in collective memory, not only of the passionate Hernández devotees, but of everyone who defended democratic freedom. In that time of hope, doubt and anxiety culture elevated the spirit of the people. More than thirty five years have passes and to commemorate the 70th anniversary of the poer's death, on the 28th March, 2012, the Culture Department of Orihuela Ayuntamiento, in collaboration with many involved in the cultural life of Orihuela, undertook the task of restoring the murals in Barrio San Isidro; once again covering the walls of the houses with murals with echoes of profound cultural and political significance. More than a hundred painters took part in this collaborative project, telling their stories on 43 walls, including some who were there in 1976 (Pepe Azorín, Nicasio Cañaveras and Joan Castejon), people from the Barrio San Isidro, primary and secondary trachers and their pupils, a group of disabled people; a true exercise in citizen participation. The proyect involved people working together with paintbrushes and rollers to essentially recreate the life and work of Miguel Hernández who died defending freedom and his belief in a just world. The result can be viewed in the streets of Camino Viejo de Oriolet, Chopo, Acacia, Tomillo, San Isidro Labrador, Sauce, Algarrobo and Almendro; here you will find an open air gallery and museum, decorated with 53 murals of many colours and the green and ochre of the Sierra de Orihuela. You are invited to take this cultural and artistic journey through Barrio San Isidro, retracing the footsteps of the poet Miguel Hernández.